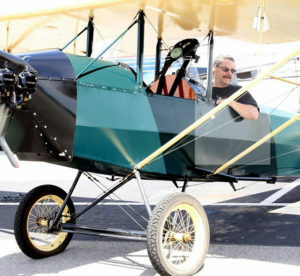 Scott Liefeld taxies out in his home-built Pietenpol Air Camper and won third place in the Spot Landing competition during the Antelope Valley 99s 26th Annual St. Patrick’s Day Poker Run Flight. The Antelope Valley 99s chapter held its 26th Annual St. Patrick’s Day Poker Run Flight April 3 at the General William J. Fox Airfield, in Lancaster, Calif. Participants flew from one to six airports: Mojave, Tehachapi, Inyokern, California City, Rosamond and Fox Field to collect cards for their hand, or simply purchased them at their final destination — MH Aviation. The international woman’s pilot organization was established in 1929 by 99 pilots and has members from 35 countries. The poker run raises money for scholarships for female pilots and for the Antelope Valley College aircraft maintenance program. The 99s also present an “Ozzi Levi Advance Rating Scholarship,” up to $2,000. Last year’s recipient was Nancy Bradshaw. 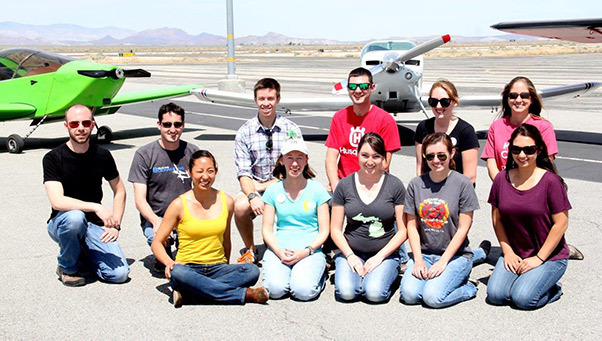 Young flyers — (top) Nick Sheryka, Brian Maisler, Thomas Niskanen, Phil Moores, Diane Barney, (front) Grace Wavy, Erin Hambrick, Kacy Anderson, Rebecca Colby and Sammi Westall all participate in the Antelope Valley 99s 26th Annual St. Patrick’s Day Poker Run Flight. The event raises money for female pilot scholarships and the 99s also support the Antelope Valley College aircraft maintenance program. 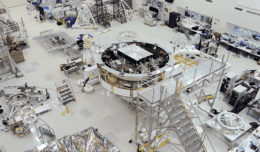 “It’s fun just to come and help out,” said Michael Jackson, a Lockheed Martin photographer who was helping to count cards. Everyone is welcome to participate or to come for the delicious Santa Maria barbecue, prepared by volunteers from the Lancaster Rotary. Ninety-Nine Chapters from Bakersfield, Ventura, San Gabriel Valley and Orange County and beyond participated this year. Nalena Rieder flew her Cessna 182 from Camarillo along with helicopter pilot, Sheila Collier and Delta Airlines pilot, Mary Lou Johnson. Members of the Ninety-Nines from the Antelope Valley and southern California participate in the 26th Annual St. Patrick’s Day Poker Run Flight. The international woman’s pilot organization was started in 1929 by 99 pilots and has members from 35 countries. Loreen Wynja from Riverside belongs to the San Gabriel 99s and won first place with a Full House. Other winners included Connie Farmer who won with a Flush. A resident of Rosamond, Farmer belongs to the Long Beach Chapter. “I learned to fly for self-preservation,” laughed Farmer who has been a pilot since 1976. Her husband was a pilot first, and with three small children, she figured that he needed a backup pilot. 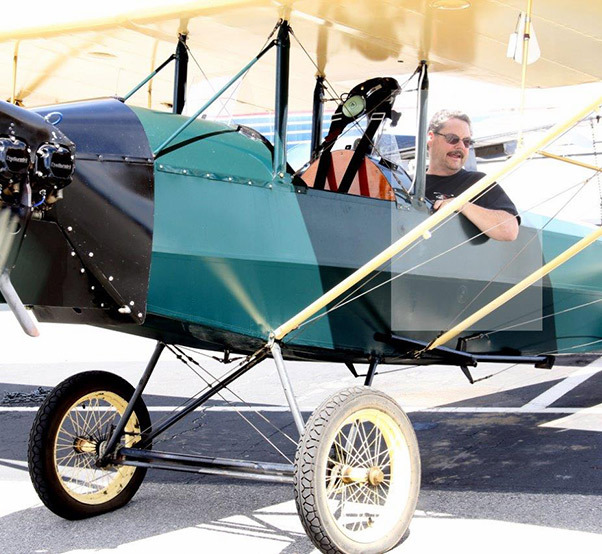 “We were going all over the place and if I was going to be in the air that often, it just made since to get my license.” Farmer recently retired after six years of managing the Aero Club at Edwards Air Force Base.